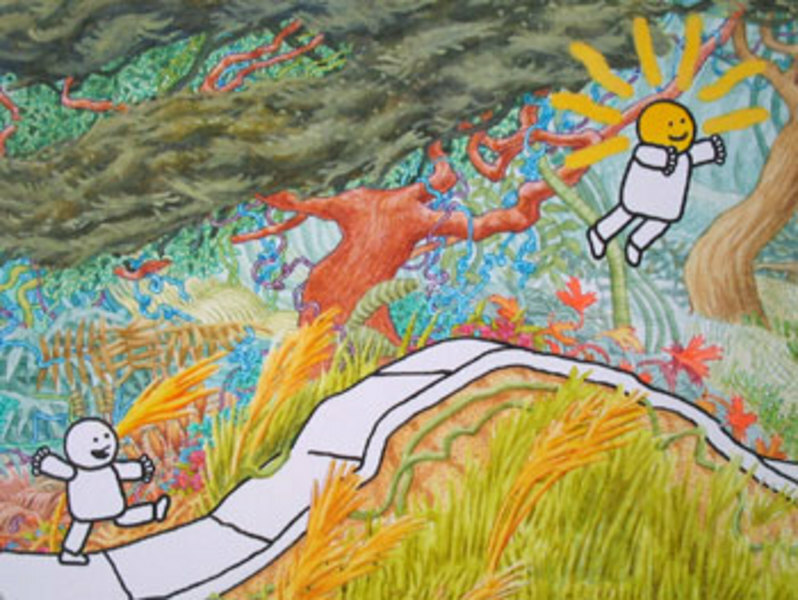 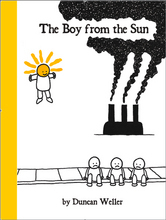 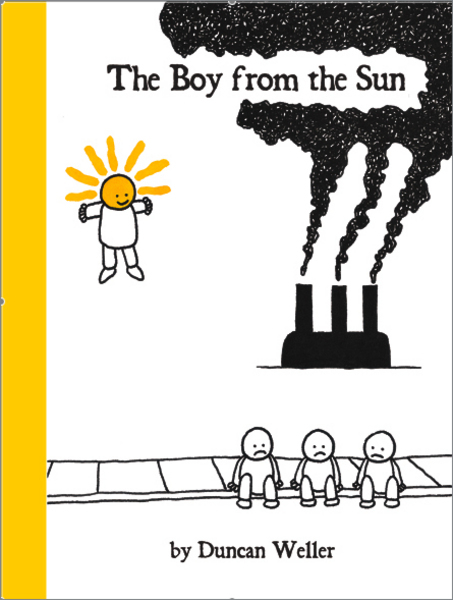 Three gloomy children sit on the sidewalk when a little boy with a yellow, shining head floats down beside them. 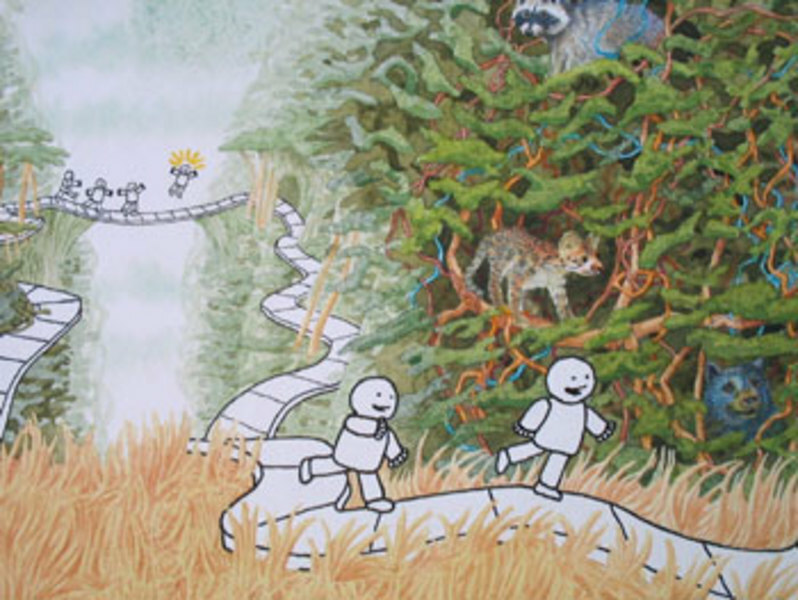 He takes them on a journey through the wonders of nature. 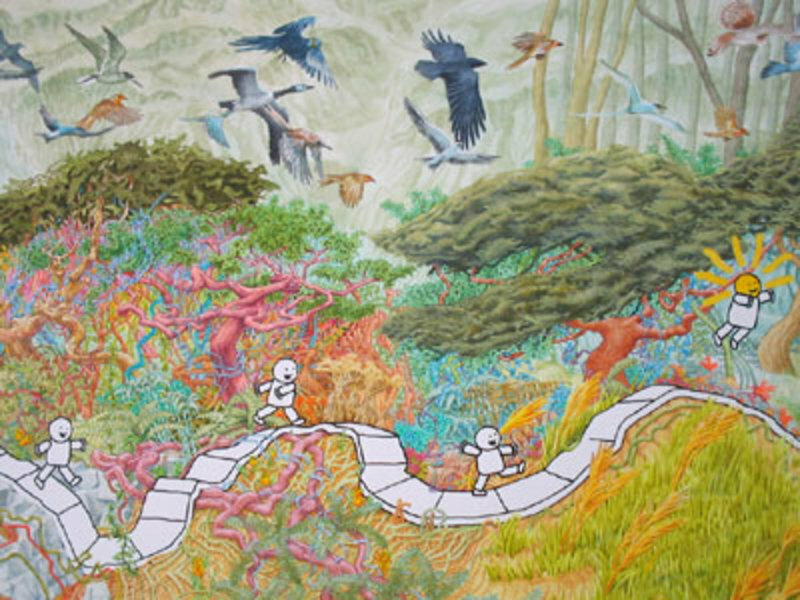 Evocative illustrations combine with poetic text in this enchanting story about taking the time to appreciate the natural world.